ISIS propaganda killer ‘Jihadi John’ has been apparently identified by the American Federal Bureau of Information (FBI), according to claims, but the organisation won’t reveal his identity or nationality for operational reasons. During a press briefing at FBI headquarters in Washington, the Director James Comey said: “I believe that we have identified him, I’m not going to tell you who I believe it is”, but gave frustratingly little other information. When pressed on what action the United States would be taking he said the security services would be prioritising his capture, but on what specific action would be taken Comey remained elusive, remarking: “[we will] expend the effort that I think the American people would want us to and expect us to”. Comey believes ISIS are going to “try to do something” in the United States and other allied nations. The Iraqi Prime Minister warned yesterday that intelligence from interrogated French and American passport holders who had been captured after joining ISIS suggested attacks on the New York and Paris subway systems was potentially imminent. These remarks made at the United Nations were not welcomed by the American intelligence community, who immediately moved to play down fears of a 7/7 style attack. 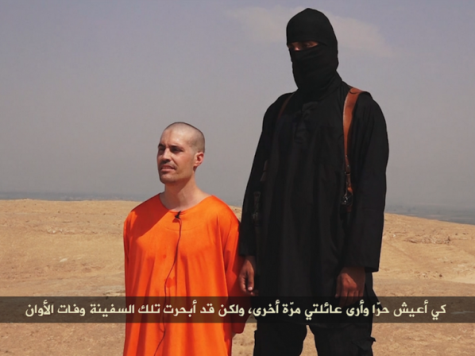 The ISIS terrorist known as Jihadi John shot to international prominence after he appeared in a number of ISIS propaganda films apparently beheading American and British hostages, while trading accusations with President Obama and Prime Minister Cameron. In common with other beheaders who have imitated the style and substance of the videos, the publically unidentified terrorist makes demands for the allied powers to cease airstrikes against ISIS in Syria and Iraq.